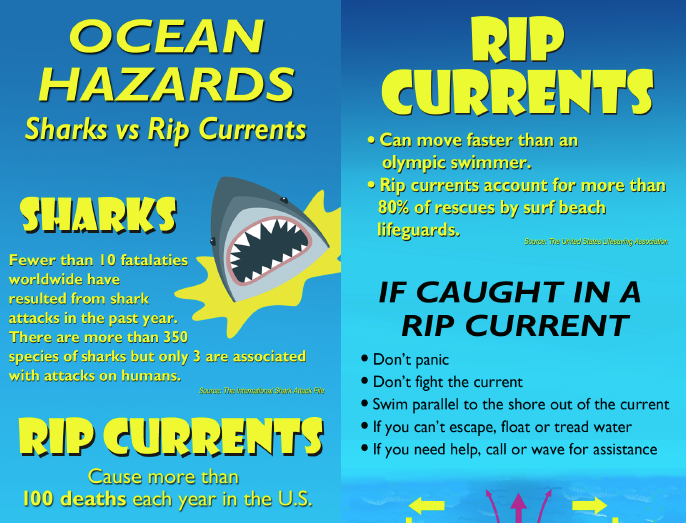 The signs are posted at high-traffic beach access and bathing points in essentially every shore community along the New Jersey coast. 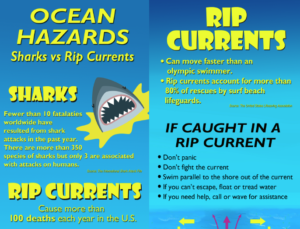 Rip Current Awareness brochures are distributed at municipal buildings, beach badge check-points, and other strategic locations from Sandy Hook to Cape May. 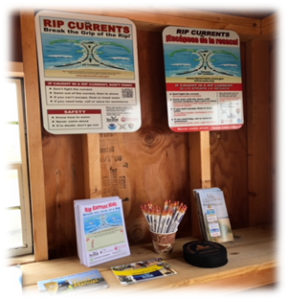 The initial Rip Current Awareness project was a partnership effort between NJSGC and the NJDEP, NJDOT, NJ Travel and Tourism, NOAA-NWS, and the NJ State Police OEM. 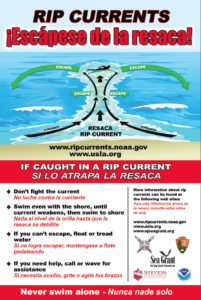 Municipal officials interested in obtaining additional signs in English and Spanish, or copies of NJSGC’s rip current safety trifold brochure, please contact the New Jersey Sea Grant Consortium at 732-872-1300 ext 10. 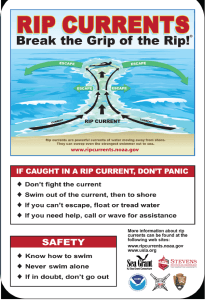 Any municipality or organization interested in arranging for a speaker or special presentation about rip currents for workshops, conferences, or public meetings can contact Dr. Jon Miller. For any additional information, please contact our Communications Specialist Danica Bellini.